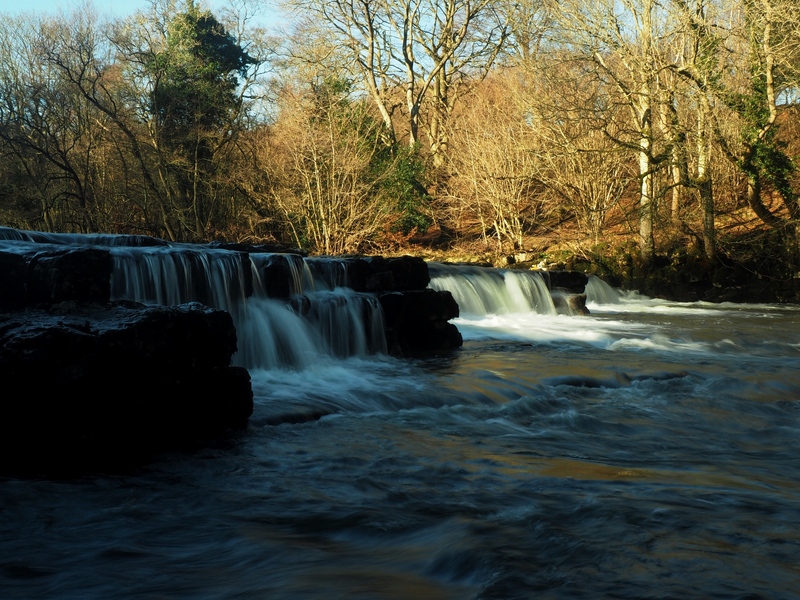 Redmire Force is a multi-drop waterfall on the River Ure a couple of miles downstream of the popular Aysgarth Falls. Indeed it is in many ways like a more modest version of Aysgarth Falls but with the advantage of being much quieter in terms of visitor numbers. 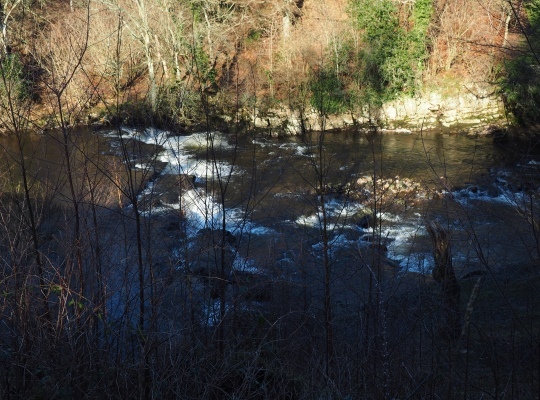 There is no handy car park nearby for visitors to visit Redmire Force although there are a variety of footpaths to reach it. These include some really nice paths along the river either side of the falls. The quickest approach is a direct half mile walk from Berry’s Farm in Swinithwaite where refreshments can also be purchased. When visiting the falls on the south bank of the river a steep path drops down to a rocky ledge overlooking the first of the drops. The two drops immediately downstream are less easy to see due to the precipitous cliff of Force Scar. 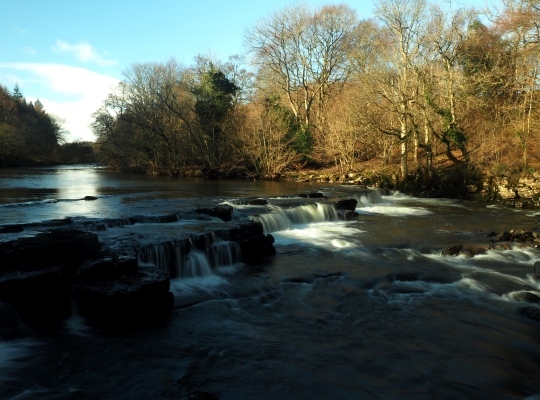 It is also possible to visit the north bank of the falls on a path from Redmire. I’ve not tried this one yet so can’t comment on how practical it is or how good the views of the lower falls are.